Mozilla Webmaker's Popcorn Maker is a free tool that lets you remix a variety of media - including web video, audio, and images - into "living" multimedia content that can be updated instantly. You can incoprorate simple additions such as popups with text and links, or be creative and add Google Maps or live image tags. Because the remixes are dynamic, they can be used for a variety of purposes both in and out of the classroom. You can create a free Mozilla Webmaker account here. Mozilla's Popcorn Maker can be used in a variety of ways in the classroom. For example, students can use it to annotate videos as a way of showing what they've learned (assessment) - way more fun that writing a report on it! They can use it to make poems, put together timelines, or to make their own videos as interpretations of readings. Popcorn Maker encourages the higher levels of thinking found in Bloom's Taxonomy such as analyzing, evaluating, and creating, while supporting differentiated instruction through visual images. In this tutorial, we will see how Popcorn Maker can be used to help students learn how to infer. Students will watch a video of a teacher taking a picture walk through David Shannon's book, No, David, then answer four of the questions asked by the teacher in the video. These types of questions will be the basis of our unit on inferencing; they will show students how to ask themselves questions in order to use the information in the text + the knowledge in their heads to make an inference. Students will record their answers by using the popup event feature. Introduce the concept of inferring to students, giving them visuals and real life examples to help them understand. Examples: The sand is hot. The sun is hot. I jump in the water and the waves hit me. Where am I? He wags his tail. He licks me. He wants to play. Who is he? 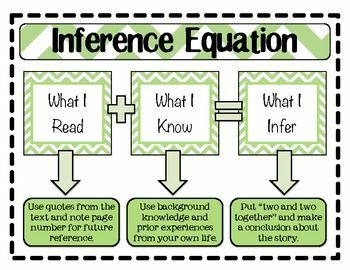 Give students as many examples they need to begin to understand this concept of questioning in order to make an inference. Explain to students they are going to practice this skill more by reading the book, No, David by David Shannon. After reading the book together, they will use the computer during center time to read the book and answer questions on their own. You can extend this lesson to various books and authors, incorporating other games and activities to help students master the skill of inferencing. While this program has many wonderful features, it does have some limitations to it. Each student can create their own account because Webmaker.org is free. However, there is no classroom feature to organize all accounts into one area. Though this creates an extra step, this is easily remedied. Once you create a video for your lessons, you can share the link with your students and students can share their makes on a centrally created website, such as a classroom blog or Google+. Addtionally, students may experience frustration getting used to this tool because, although it appears to be a traditional video editing program, it is really quite different. Students may have a difficult time unlearning or relearning some skills learned on other movie makers. .
Mozilla Webmaker's Popcorn Maker can be a useful tool in the classroom at any grade level when properly scaffolded. It supports differentiated learning and gives students hands-on, authentic learning experiences. You can take this tool a step further and use it to create community within the classroom or across districts - or even across the world. Children can create remixes for their assignments and share them in their own Personal Learning Networks, broadening their learning bases and giving them a sense of personal investment in their learning.